It’s official! My new business venture has been launched. Introducing, ladies and gentlemen, BOHEMIAN PRINCESS, Handmade Jewelry and Accessories by Honey Aubrey. My love of creating earrings had finally led me do something wonderful and challenging. Something to share with the world, and to call my own. My official logo was created by one of the most talented artists I know, Louie Patlingrao. You can visit his website at www.loubrication.com. Thank you x a million for such an amazing, amazing job! Hugs & kisses darling. Bohemian Princess features one-of-a-kind handmade earrings and jewelry, created with love and aloha here in Hawaii Nei. After a few days of pondering, I came up with the name and the slogan, “Be Free. Be Fashionable.” Designs are inspired by the creative and passionate culture of the Bohemians- (drop and dangle earrings). Of course, minus the dwelling of an unconventional lifestyle, but rather with a touch of elegance and grace (use of pearls, glass beads and crystals), hence Bohemian Princess. These past month and a half, I have created over one hundred pairs of earrings. They are separated in four different collections- Luxe, Princess, Earth and Ocean. The earrings are girl names inspired by the collection. For example, in the Princess collection, there’s Jasmine and Anastasia. In the Ocean collection, there’s Lana (Hawaiian name meaning calm as still waters) and Morgan (Celtic name meaning for bright sea). Website is officially launched today, and online shop is live. 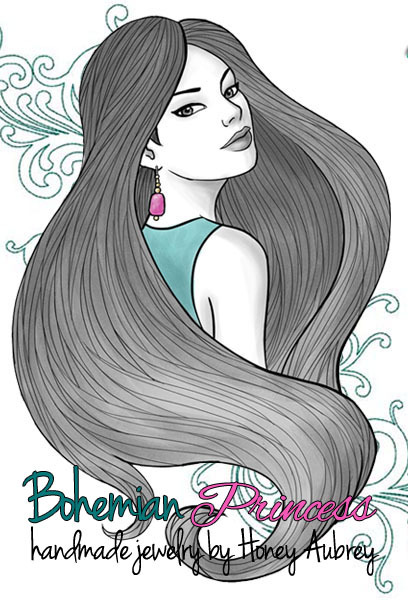 For any of my darling WordPress bloggers who would love to help me promote Bohemian Princess, I would absolutely appreciate it, and will send a free pair of earrings your way. Mahalo!! !